Book a ferry to St Margarets Hope with AFerry. 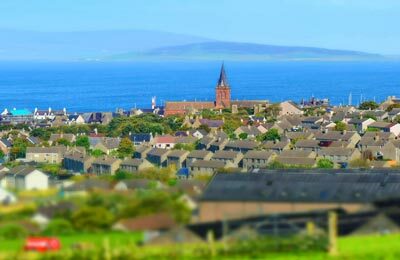 Ferries to St Margarets Hope, in Orkney, are available from Scotland. You can take a ferry to St Margarets Hope from Gills Bay. Ferries to and from St Margarets Hope are operated by Pentland Ferries. When you search for a ferry to St Margarets Hope, we will always show a range of times just in case it's cheaper earlier or later than the time you select. We'll also show you results for similar ports like Stromness to help you find the best times and prices to suit your plans. St Margarets Hope ferries with Pentland Ferries are known for their comfort and high levels of service, and you will feel like your holiday has begun the moment you step on board. Travelling to St Margarets Hope will be easy and hassle free. Start by making your booking today, it's quick and easy. 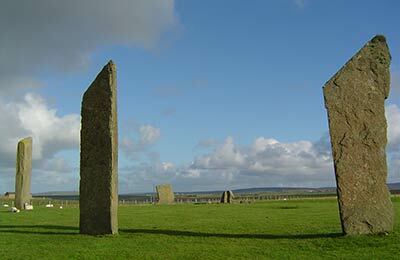 St Margaret's Hope, also known as The Hope, is a village in the Orkneys, located off Scotland's north-east coast. The word Hope comes from the Norse word 'hjop', which means bay. St. Margaret's Hope has a number of shops and restaurants and is famous for its annual Boys' Ploughing Match, a festival where young boys plough in the sands of the Sand of Wright, while girls wear traditional costumes. If you catch a St Margaret's Hope ferry, do not forget to visit the Smiddy Museum, with lots of old blacksmith's tools to try out and lots of old photographs. Pentland Ferries provide you a unique opportunity to see a wide selection of wildlife such as seals, puffins, killer whales and sea birds while onboard all along the crossing thanks to their panoramic lounges and sundecks. Pentland Ferries' newest ship Pentalina is a fast catamaran and reduces the crossing time by further 15 minutes making the total crossing time, just 45 minutes. Pentland Ferries offer great deals and promotions on St Margarets Hope ferries, and you can take advantage of these by booking simply and securely with AFerry. There are a number of shops within walking distance from St. Margaret's Hope Ferry Port. Parking facilities are limited at the port, but there are a number of spaces where you may park your car for a short duration. The ferries at St Margaret's Hope Ferry Port are accessible to those with limited mobility, with boarding assistance available from the friendly Pentland Ferries staff. Pentland Ferries provides onboard facilities including a comfortable cafeteria and a pleasant outer deck area. Below you can find St Magarets ferry times, as well as our best deals. Boarding was very quick and organised. Staff were efficient and certainly know how to jigsaw as many vehicles as possible. I have no complaints about our trip on the ferry to Orkney. I was surprised I wasn't seasick. The boat was ideal, great experience. I personally thought vehicles were quite expensive to board with however I needed my car. There was no loo roll in the ladies, luckily I always carry tissues. I didn't chance my stomach at any hot food however there was plenty choice with crisps, chocolate and sweets, the cup of tea I had however was quite awful, it tasted rotten, it smelt like fish and when I was trying to avoid the sea sickness, this nearly set me off, so straight in the bin it went. Next time I'll bring my own so not really a massive problem.